Two ex-urbanites bring their eclectic sense of style to a 19th-century Greek Revival in Newburyport. By Alyssa Giacobbe·	 9/10/2013, 6:50 a.m. Growing up on a farm in New Jersey, Jenn found many things worth collecting during long walks through fields with her father: dried bugs, rocks, birds’ nests, pieces of dug-up antique china, animal bones, and plenty of skulls. All of these finds are now framed on walls or displayed on shelves alongside newer pieces picked up at yard sales, stores, and the Brimfield Antique Show. She also has a few family trinkets. “It seems unlikely to find ‘new’ things from my parents’ home, but I come from a long line of attic hoarders,” Jenn says. 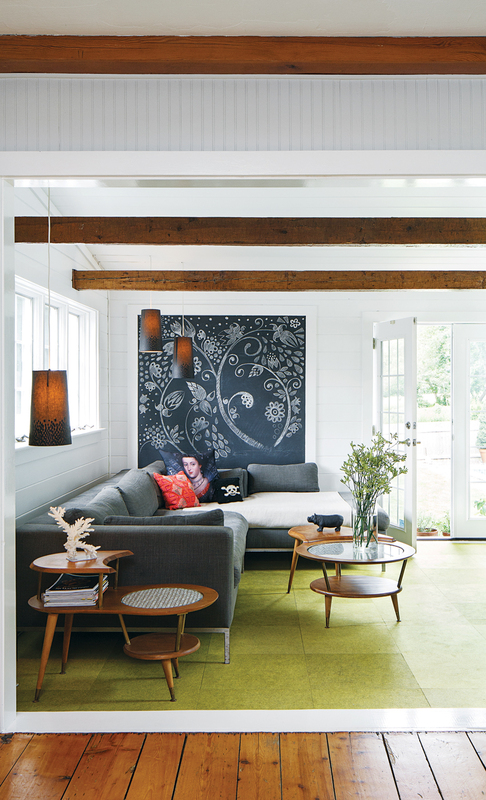 The couple turned a back-of-the-house addition into the living room using Flor tiles, a custom-made couch, and vintage coffee tables found at Machine Age. 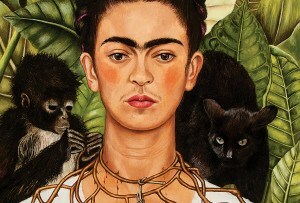 Throughout the house, neutral furnishings and gray- and cream-painted walls showcase the personality of her pieces: In the office, for instance, short black filing cabinets are topped with an arrangement that includes, at least for the moment, vintage signage, collected shells, and a pair of polar bears inside a glass dome that are engaged in what could either be a hug or a battle. Though Jenn and Greg gave almost every room in the house (which dates back to 1878) some sort of a facelift, they found that it actually required little in the way of immediate renovation, with its open kitchen and dining room, exposed beams, and charmingly chipped painted-green flooring. 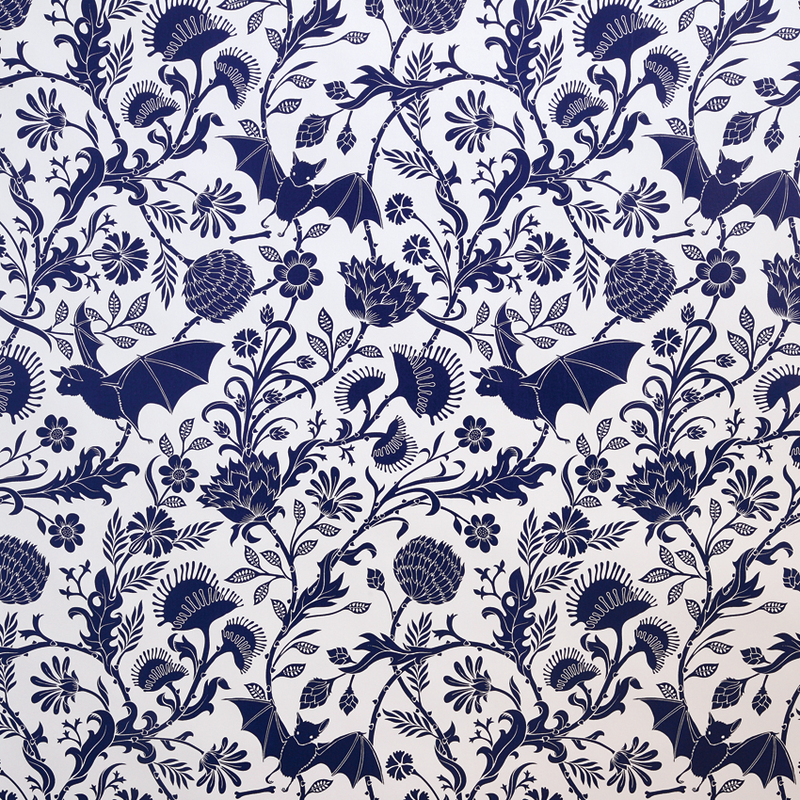 “One of the most important things I thought about when designing was how I could honor the original house and some of its traditional elements, but also take into consideration my love of a modern aesthetic,” Jenn says. 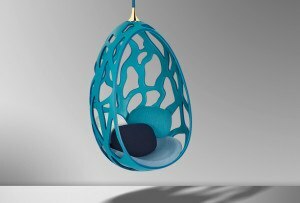 “As I’ve renovated, I’ve tried hard to strike a balance. Luckily, I’m a big proponent of living in an environment that doesn’t feel too precious.” Which is why the green flooring stayed, as did the original wood flooring in a renovated downstairs bathroom where the couple hung orange-and-white wallpaper emblazoned with hipster-looking skeletons, from Brooklyn-based Flavor Paper. 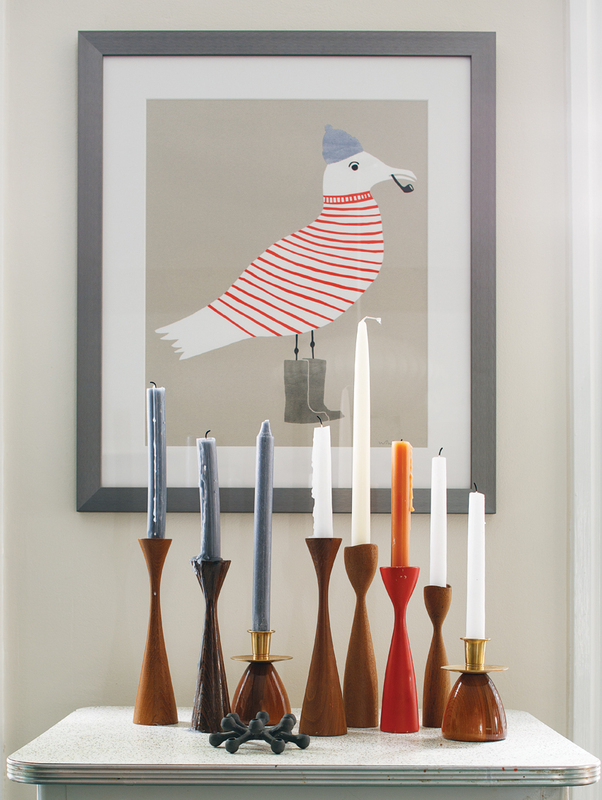 A silkscreen print by artist Wayne Pate frames Jenn’s collection of midcentury candlesticks, sourced from vintage shops and Etsy. 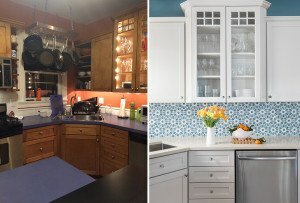 But the real centerpiece of the home is the kitchen, where the couple can be found many weekend afternoons cooking and planning elaborate themed dinners for friends and family. A fireplace adds warmth to the airy space, which turned out to be steeped in history. At the top of the basement stairs are signatures that visitors have left over the decades: “Silly little things like ‘Dad ’78, 83 years old’ and ‘Mack was here,’” Jenn says. When they repainted the area, the Clapps preserved the names and added their own scrawled signatures to the wall. 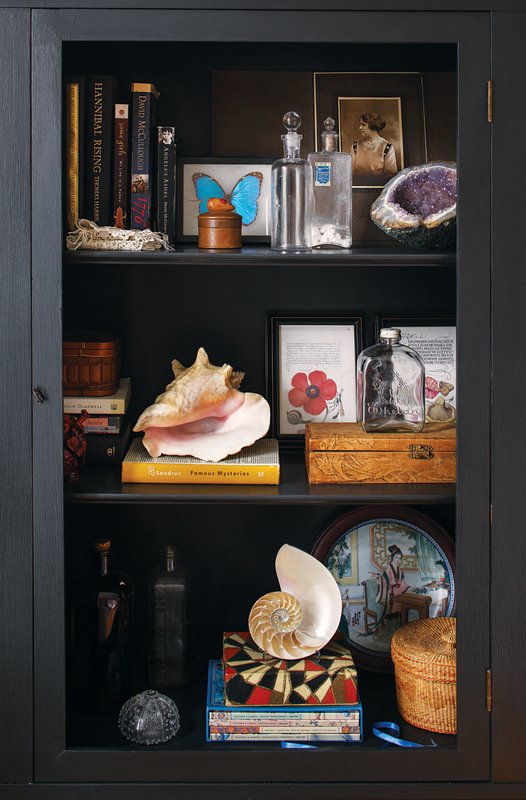 Artifacts collected and inherited through the years—including antique bottles handed down from Jenn’s grandmother—fill a cabinet in the guest room. 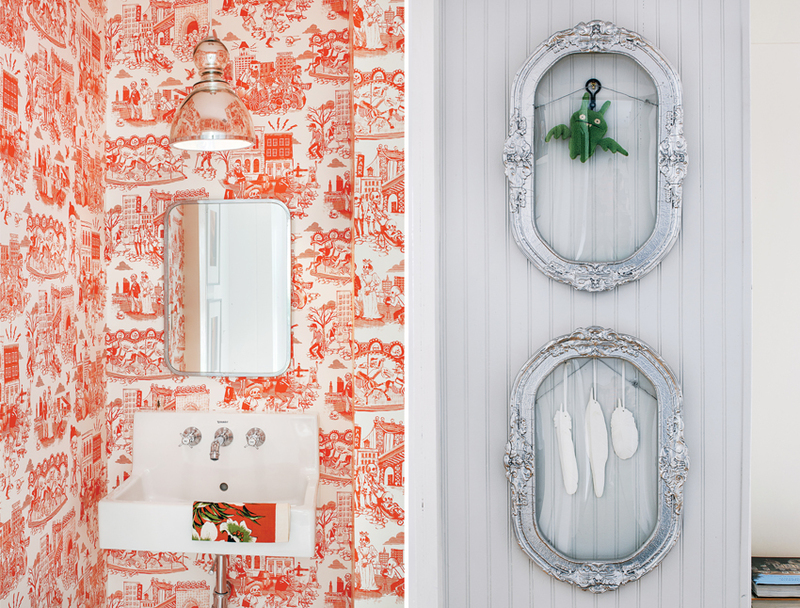 From left, the downstairs bathroom features wallpaper by Flavor Paper, a mirror from Nor’East Architectural Salvage, and lighting by Jamie Young; in the library, convex antique frames—found in Jenn’s mom’s attic and spray-painted silver—showcase an Uglydoll and porcelain feathers by Roost. 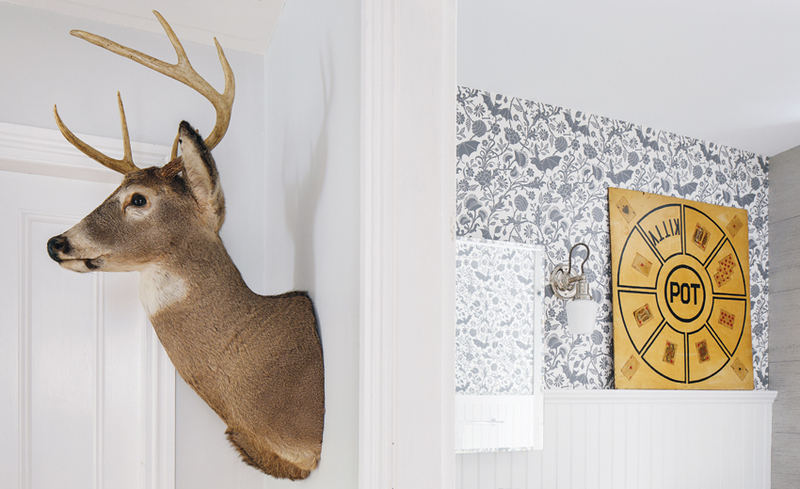 An antique whitetail deer mount found in an Essex antiques shop hangs on the wall outside the upstairs guest bathroom, with its bat-themed Flavor Paper wall covering and a vintage game board. 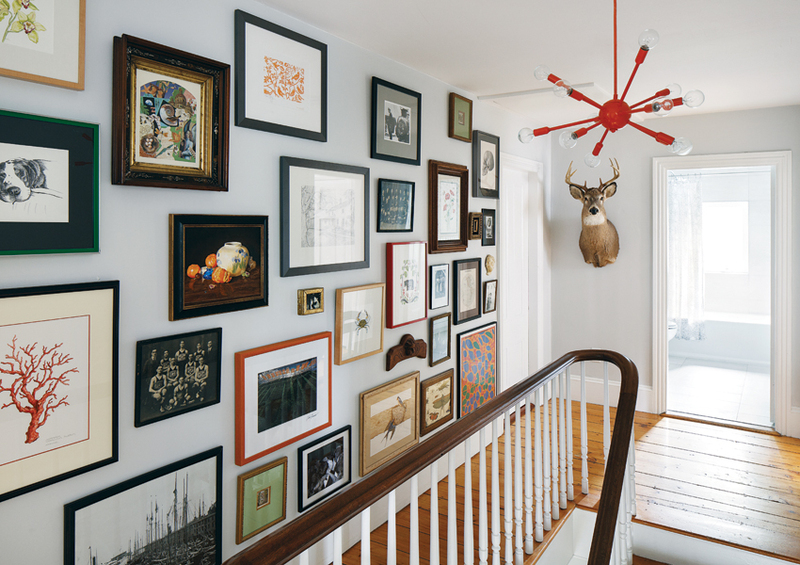 Jenn lined the upstairs hallway with framed family photos, watercolor paintings by her mother, and illustrations. 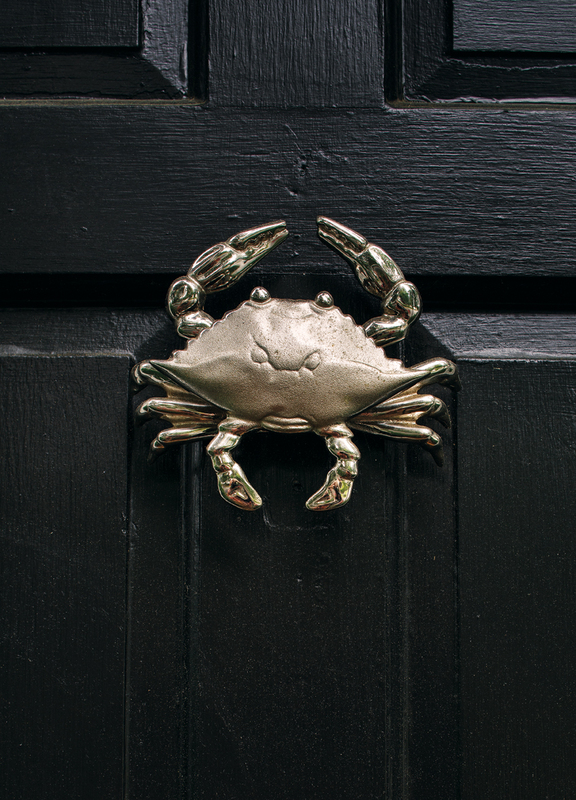 A crab door-knocker from Cape Cod Weathervane Company. 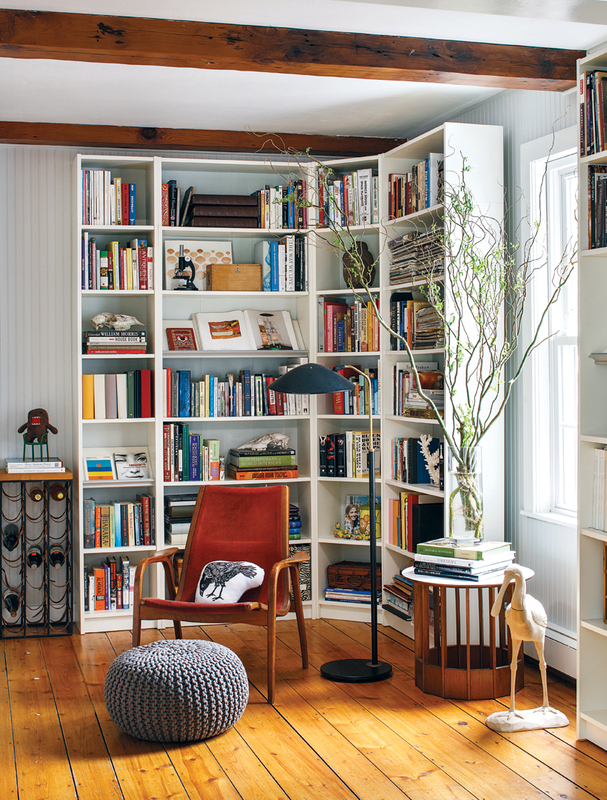 The library features shelving from Ikea, a vintage Swedese chair, and an antique floor lamp from Machine Age. 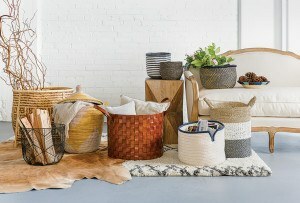 Where to find décor inspired by the stories in this issue. 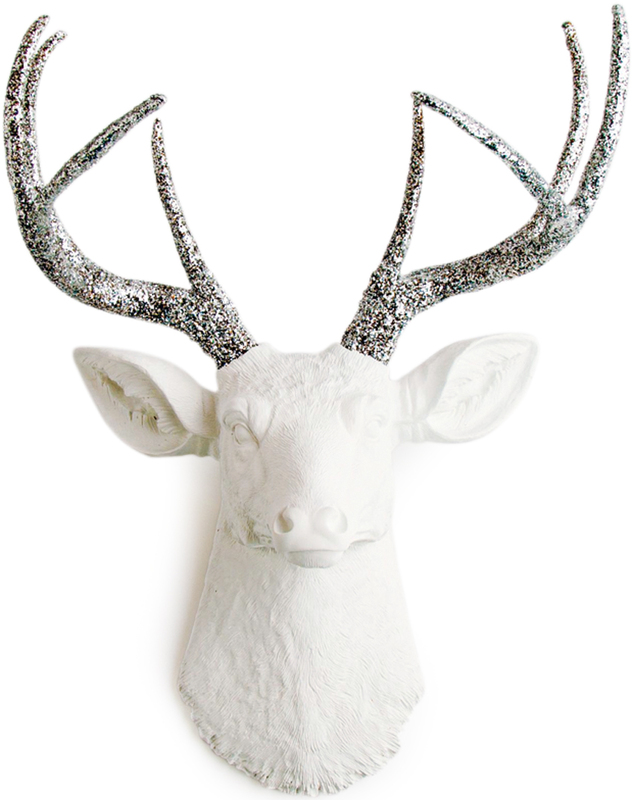 “The Weston” white resin deer head, $120, White Faux Taxidermy. 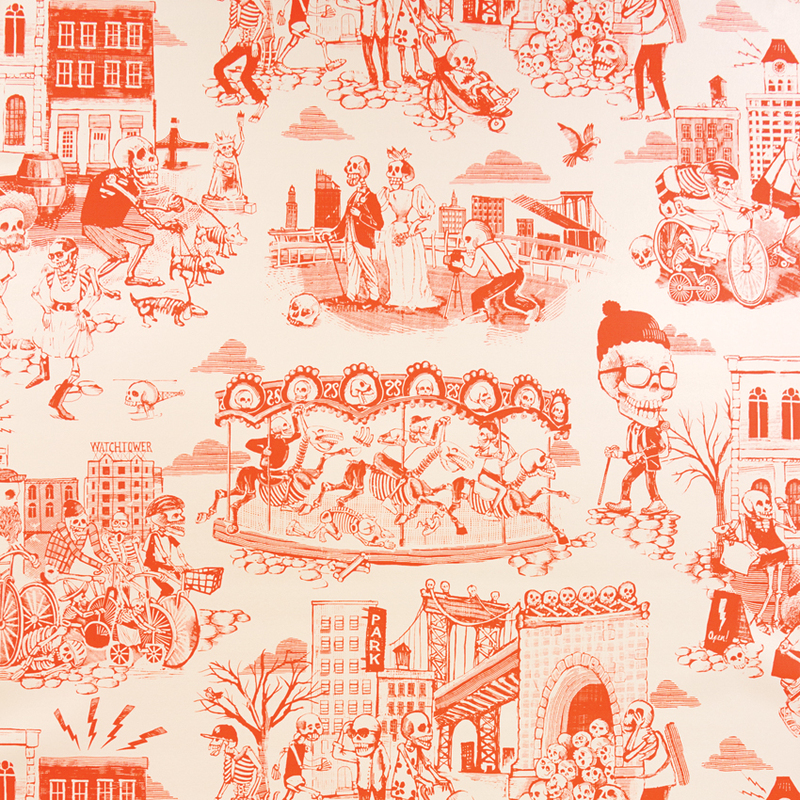 “Elysian Fields,” $150 per roll, flavorpaper.com. “Dia de Dumbo,” $150 per roll, flavorpaper.com. 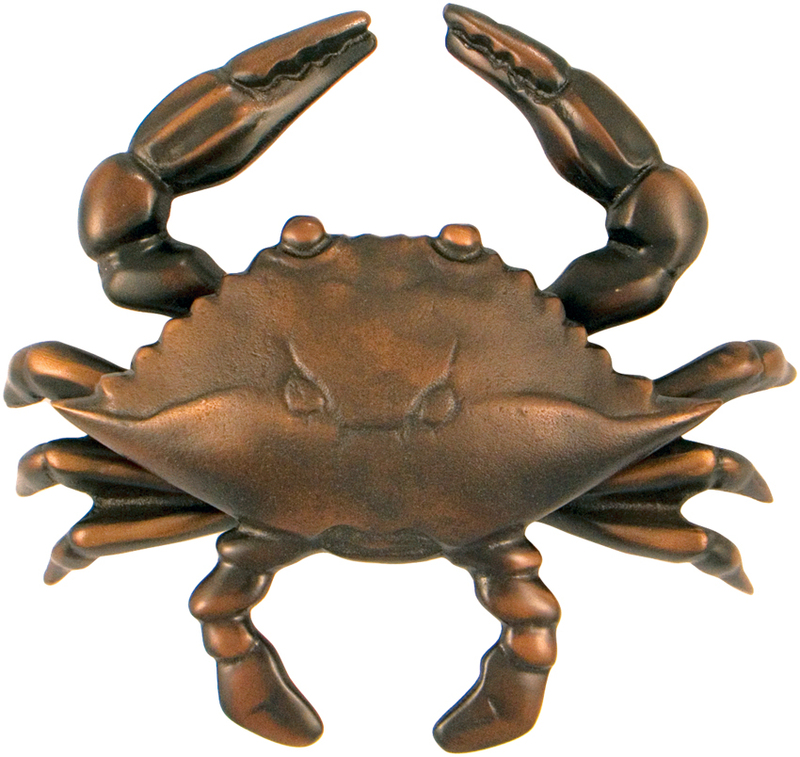 Michael Healy oiled-bronze blue-crab door-knocker, from $100, Cape Cod Brass. 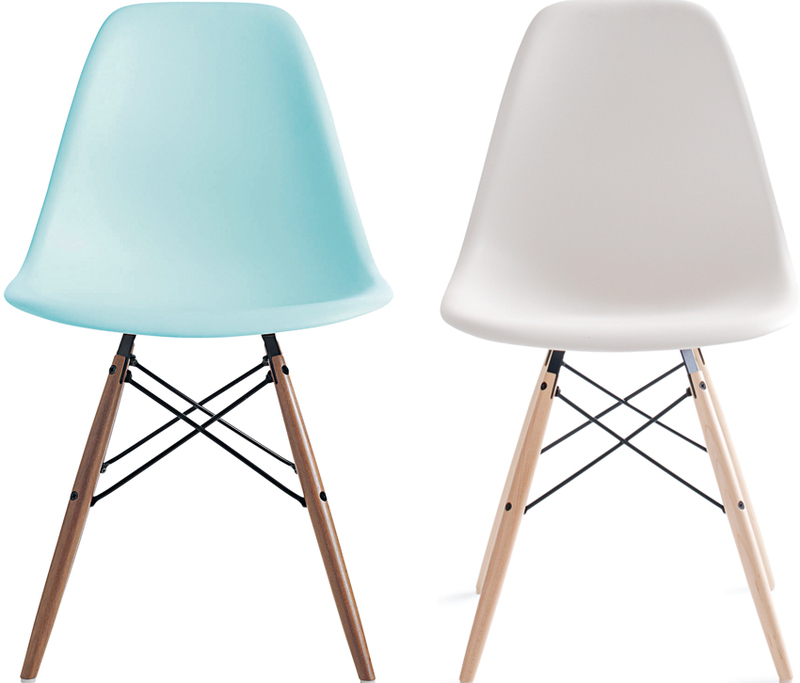 Eames molded-plastic chair, from $299, Design Within Reach. 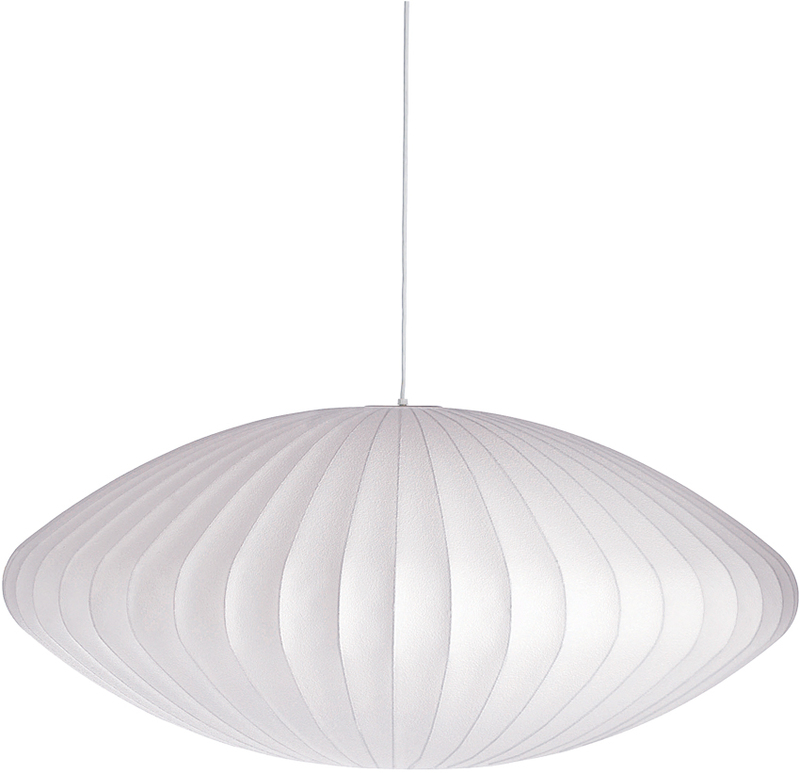 “Nelson Saucer” pendant lamp, from $195, Design Within Reach.